Sometimes the retelling of a story and especially a successful movie like the classic Annie can be met with disastrous results. This 2014/2015 version does the opposite, not only does it tailor the movie to our present day it weaves it into African American lead characters. The story itself is somewhat more improved, less sappy and in a lot of ways more meaningful. This Annie does not have that borderline irritating redhead cuteness that previous versions seem to overdo at times. 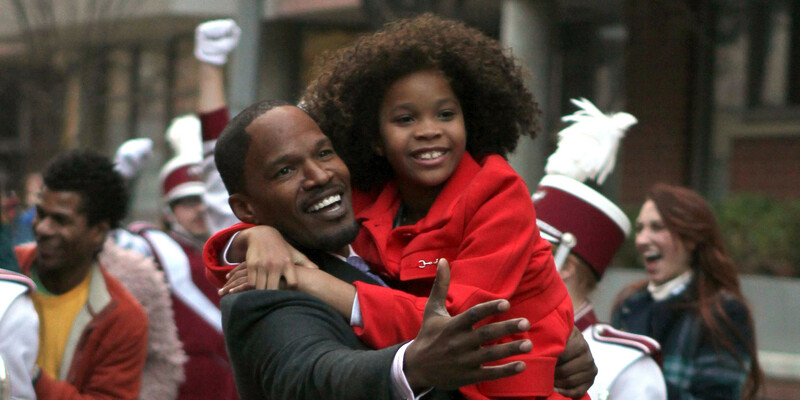 This Annie ( played by the wonderful Quvenzhané Wallis) is believable, sweet (without being saccharin) and steals your heart in almost every scene. Jamie Foxx plays a strong Mr. Stacks while Cameron Diaz plays a pitiful but lovable Mrs. Hannighan. However, I still love Carol Burnett’s version better. The music ( both old and new). the dancing and general performances have given the Annie franchise new life and a higher pedestal for a new generation. The message of the story still has relevance.